In Mayo rivers and lakes have high water quality and, for this reason, they have a big nature conservation interest. They support a wide range of protected wildlife: salmon, trout, lamprey, otters, kingfishers and common scoter geese and ducks. Freshwater pearl mussels, which need water of highest quality, can be found in Mayo's rivers. Populations of these mussels in Europe have already declined or extinct. In Ireland they have declined too, but Mayo remains a stronghold for this species, however. 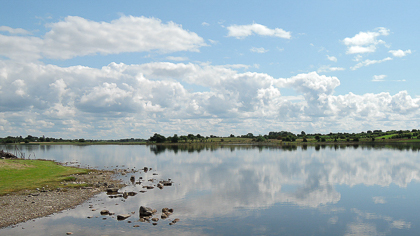 For their nature conservation significance in a European context River Moy, Newport River, Lough Conn, Lough Carra, Carrowmore Lake and Lough Cullin are Special Areas of Conservation or Special Protection areas. The seasonal lakes called turloughs can be found in limestone area depressions.Their waters levels fluctuate during the year. Mayo’s landscape is an intricate network of rivers, streams and lakes. 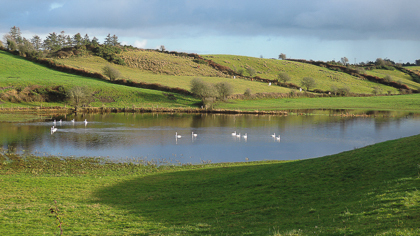 Turloughs or seasonal lakes are only found in the west of Ireland.